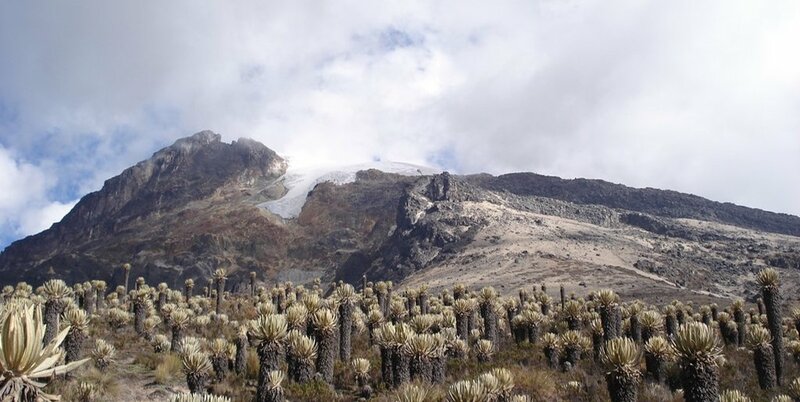 No matter the season, Los Nevados National Park trek provides a great experience. There are two dry seasons (December to February and June to August), and two rainy seasons (March to May and September to November). The park is home to many animal species you will likely see, including Andean bears, Andean tapirs, possums, cougars, squirrels, condors, hummingbirds and snow parrots. This is a medium to difficult trek. On the first day, you will hike for 6 hours (10 km) with an elevation gain of 1,200 meters. The second day you hike for 7 hours (15 km) and gain 700 meters elevation, then lose 500 meters elevation. On the last day, you hike for 6 hours (15 km) and lose an elevation of 1,400 meters. On the first day, you depart from Salento (2100 meters) by jeep heading for the valley of Cocora located at 2400 meters. Then, walk along a river in this atypical valley with its "Palmas de Cera," the national tree, and pass by a forest with a great biodiversity that characterizes the region. 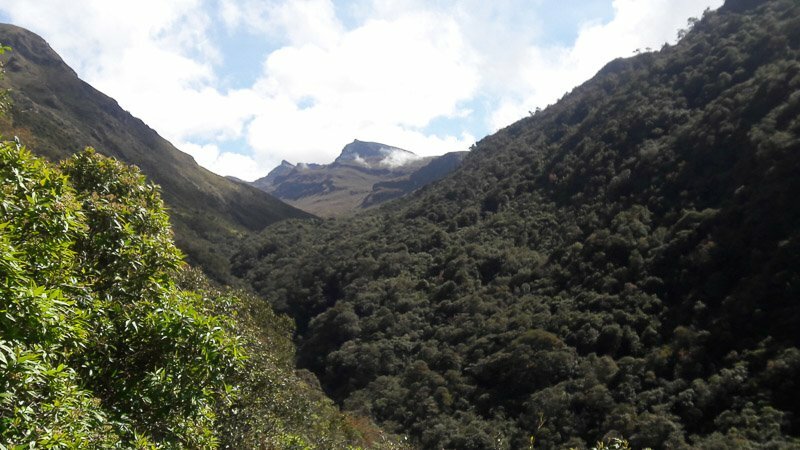 Hike in the tropical forest where you can observe all the stages of life of the wax palm, orchids and many species of birds, often endemic, such as páramo eagles, Pava Cuava Guan, and the very rare blue toucan! You will stop for a snack on a natural viewpoint with an unobstructed view of the valley and arrive in the early afternoon at your local farmers refuge for lunch. In the late afternoon, you will rest while viewing the sunset over the valley. You will stay in a dormitory. 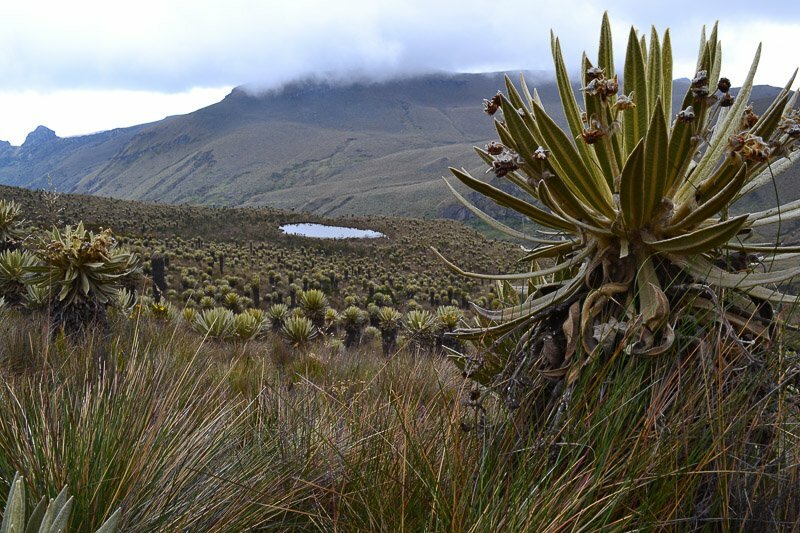 Today, you enter the Los Nevados park and observe the fauna and flora with its forests of frailejones, a sunflower-like plant, characteristic of the ecosystem of Paramo (4100 meters). You arrive on a plateau with lagoons of alta and escondida, appreciate a view of the Paramillo del Quindío, before arriving in another typical country house of the region with a panoramic view on the Nevado el Tolima. Dinner and night in a refuge. Wake up this morning to enjoy the sunrise on the Nevado del Tolima. 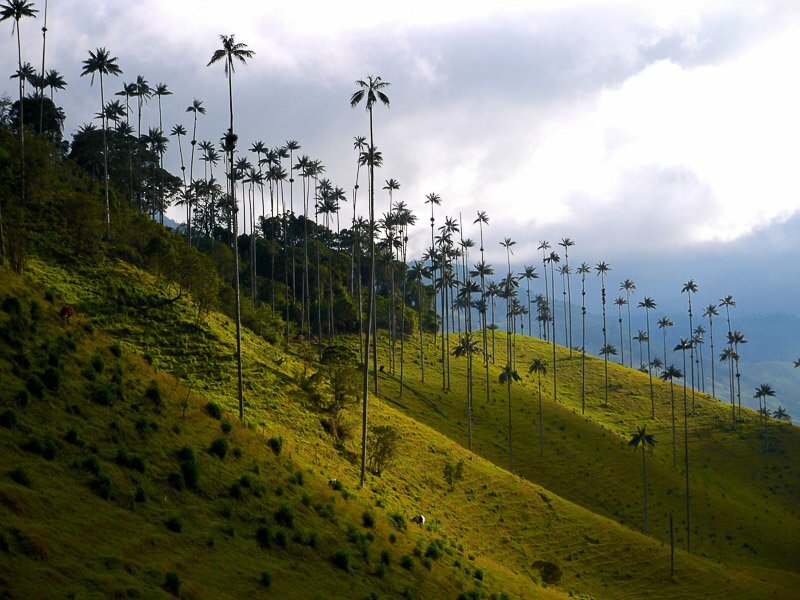 Today, you descend from Los Nevados Park to the Cocora Valley, which is the return course and is entirely different from that of day 1. You will travel along the Quindío river and descend by the Paramo witnessing a change of landscape with altitude. To complete your trek, you end with a passage through local fincas and arrive in Salento at the beginning of the afternoon.